I would not be surprised to hear “Lori I have been trying forever and no matter what I do I can’t seem to get it, find it, or get rid of it. It is a very common complaint and this is my suggestion for you. 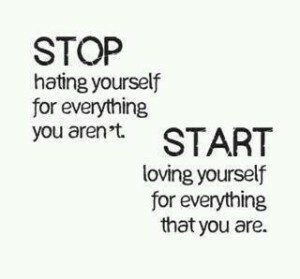 Stop trying and start loving. For example. if you have been trying to lose weight See if you can notice the part of you that has been trying. The part of you that feels she or he is not good enough unless she or he loses the weight. By moving into loving yourself and those parts that don’t feel good enough you will naturally and effortlessly start to lose weight. Would you like to learn more about loving yourself and how it can change your life? Join me in an upcoming class, where you will learn and experience how to start cultivating your own approval and self love. Click the link below to find out more.